What are the best Wireless Bluetooth Headsets of 2018? Nowadays, the wired electronic devices are moving out of the market at a rapid speed. In the segment of headsets, manufacturers are getting new interventions and technologically advanced products into the market. The wireless, Bluetooth headsets are on fire in the market because the possibility of living without wires gives us freedom of movement and comfort that we could not even imagine before. In a world increasingly wireless the wireless headsets have become fashionable so that we are presenting here the features of the best wireless devices in the market. In wireless Bluetooth devices, we are having three types. One is we have the circumaural Bluetooth headphones (over-ear) that completely surround our ear and are larger. Another is the supraaural Bluetooth headphones (on-ear) that rest on our ear instead of surrounding it. And finally, we also find the intraural Bluetooth earphones (in the ear), which are inserted inside the ear and are small in size. But before getting into work we will clarify some basic concepts that will undoubtedly help you when buying a Bluetooth headset. The biggest advantage of Bluetooth headsets is their comfort. The wireless headphones give us freedom of movement without being limited by a cable so that we can take our music elsewhere. Another advantage is that they are stylish, and this is something emotional and subjective. The biggest drawback is the duration of the battery. Another disadvantage is that Bluetooth audio by definition it is a compressed audio: the data is sent digitally from our mobile or tablet to our headphones so that the information has a lower resolution. If we add a low-quality mp3 to this Bluetooth compression, the result will be a low quality. Wireless headphones made with exquisite Scandinavian taste. The Bang & Olufsen brand is famous for taking care of the design of all its products. The Beoplay H9 Wireless B & O headphones are no exception. They are elegant, minimalist and from the outside, it has that distinctive touch that invites you to put them on. The Beoplay H9 Wireless B & O Bluetooth headphones have a leather finish with metal elements that give stability and end with those annoying creaks. In addition, they are resistant, robust and comfortable. The pads are replaceable and their appearance is simple and attractive, ideal for most contexts of daily life. Despite being Bluetooth headphones over ear these are relatively lightweight and weigh only 284 grams. The sound of the B & O Beoplay H9 Wireless is subtle and balanced, colored and smooth, with quite rounded frequencies. However, some users complain that for that price the audio could be a bit more shocking and forceful. Obviously, the evaluation depends on the tastes of each one. What for some may be an inconvenience, for others it may be a positive point. What we have detected is a somewhat colored sound: bass players lose a bit of presence in favor of the media and highs. At the same time, its stereo audio gives a lot of play. Another criticism of these Bluetooth headphones over ear B & O is the volume: not reach a particularly high volume. Again, all this depends on the tastes of each one, but they are aspects that you should not lose sight of when making such a high outlay. On the other hand, they have Active Noise Cancellation technology: a clean and efficient technology that blocks the sounds that come from outside and that greatly improves the user’s experience. 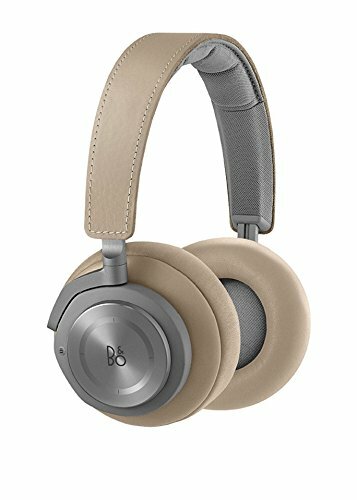 B & O Beoplay H9 Wireless noise cancellation is of quality and works well, although if you are looking for the best noise canceling headphones, we anticipate that there are better options and we recommend that you take a look at this report. These circumaural Bluetooth headphones have an output for a mini-jack cable. So, if you running out of battery you can use them with cable. This feature called “passive mode” is common in the headphones we have selected in this comparison, but not all offer it. On the other hand, integrated controls are one of its negative points: they are not very sensitive and not very intuitive. They support Bluetooth 4.1 and work with the aptX codec. Beoplay H9 wireless headphones have 14 hours with noise cancellation activated, and have another point in favor: the battery is replaceable. So, if it gives you problems, it will be as simple as replacing it with another to continue enjoying your headphones at full capacity. B & O Beoplay H9 Wireless are Bluetooth headphones with a very careful design and high-end materials, but they do not just give us an entirely defined sound. They have noise cancellation, although we believe that their price is a little high for their benefits. 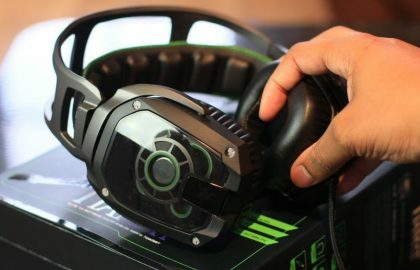 There are a few headphones that are suitable for all budgets and maybe that’s why we expected some services according to their price and what the brand has used to. It has left us a little disappointed regarding the battery and manual controls. We think they are good design headphones but at a high price. Excellent noise cancellation, good sound balance, good battery life. The Bose QuietComfort 35 Bluetooth headset has an elegant and modern finish. They are very comfortable thanks to the ear cushions and the headband. They weigh 235 grams. They are lightweight for an Over Ear headset. Its comfort means that you can use them for hours without problems. Its design is of high quality: stainless steel covering to give them resistance, padded in polyurethane foam, the resistant plastic of good quality (stable and not fragile) and fodder in a high-quality textile material. These wireless headphones are available in black and silver matt colors, a factor that makes them even more elegant and versatile. In addition, they have music controls and LED indicators relating to the battery and Bluetooth. They are foldable and include a solid carrying case, the usual USB charging cable, and 3.5mm mini jack cable. Bose is one of the most powerful brands on the market in relation to headphones with noise cancellation. This takes its maximum expression with the QuietComfort 35 and its active cancellation of noise is the most advanced of the moment. The serious and constant noises disappear without difficulty, like the voices of our environment. However, it is in intermittent and treble noises where the performance of this technology is less effective. However, the technology of these headphones is ahead of their competitors. On the other hand, its sound varies slightly depending on the type of music you listen to. The low frequencies do not have as much presence as in other headphones. The treble and the media, on the other hand, do sound very clearly, as do the vocal tracks, which makes them ideal for listening to certain genres such as rock or classical music. The power of the volume to which you put them will directly influence the intensity of the sounds. In general, we can say that these wireless headphones offer a balanced sound that is maintained when we use them with the cable. The active equalization (Active EQ) with which these Bose QuietComfort 35 count helps to create this sensation of balance, as well as avoiding the possible distortions that may occur in the sound. This is brought to a new level with the TriPort acoustic technology: it improves low frequencies and balanced sound through the physical design of the headphones. In addition, QuietComfort 35 have DSP correction: the headphones use microprocessors that reinforce the audio waves in our ears. Its function is to limit the background noise and the distortions of digital compression. It is a state-of-the-art technology applied to sound in a categorical way, which causes the bass frequencies to have more amplitude and not dissipate, and the sound to be free of any imperfection. These are Wireless headphones with many possibilities. 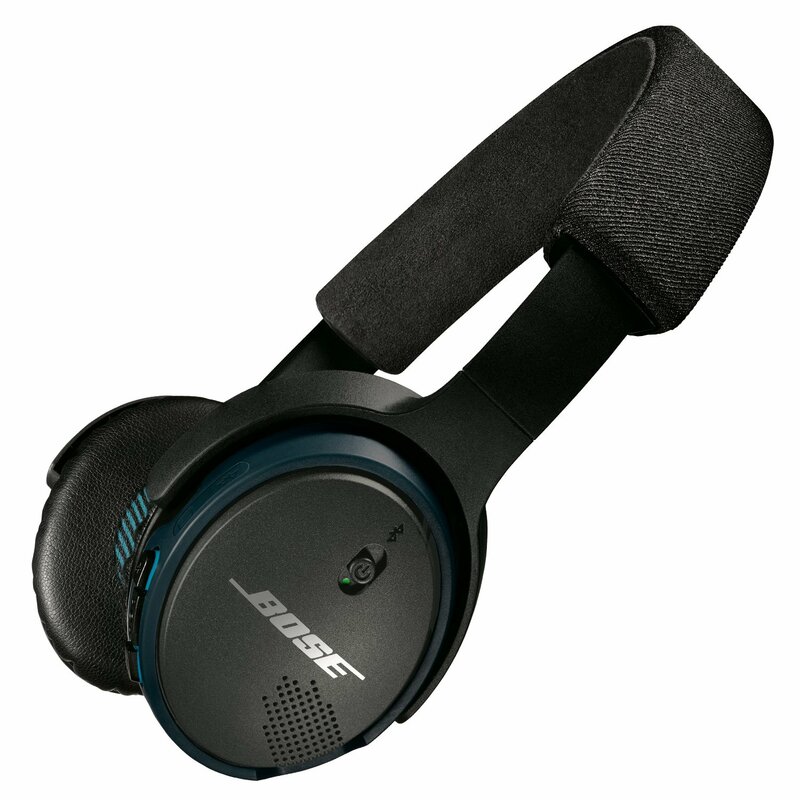 The Bose Quiet Comfort 35 has Bluetooth 4.0 technology with a range of 10 meters. The signal can fail if there is an obstacle in the middle such as a wall, but it is something normal that happens with this type of technology. This jewel of sound allows you to connect several devices to the same audio source at the same time through the Bose Connect Application, free for Android and IOS. With it, you can also regulate the Noise Cancellation. The negative point about the Bluetooth connectivity of these wireless headphones is that they do not support the aptX codec. However, they perform perfectly with the AAC and SBC codecs. Another of the positive points of these wireless headphones is that they allow NFC (Near Field Connection) connectivity. It is a system of wireless proximity connectivity that many smartphones have incorporated and that, above all, is a shot in Android systems. This technology will allow you to match your phone very quickly and will give you a lot of game when it comes to answering calls or connecting to your playlist. Another point to keep in mind is that the Quiet Comfort 35 can be used with cable once the battery runs out, which will get you out of more than one hurry. On the other hand, telephone conversations are of quality and are very fluid. The battery of these bluetooth headphones has a range of 20 hours. It can be recharged by USB and covers both the Noise Cancellation and the digital signal processing (DSP). In addition, they have a fast charge function: with 15 minutes of charge, we will have 2 hours of duration. It will be more than enough for any regular consumer of music in their daily lives. In addition, they can be used in the passive mode with the cable, something that not all headphones offer. However, when using them in passive mode the Active Eq and the DSP correction stop working. The BoseQC35 is one of the best Bluetooth headphones in terms of noise cancellation. Its price is in line with the finish of its materials: luxurious, resistant and elegant. The state-of-the-art technology that Bose applies to both the sound of headphones and noise cancellation makes the difference. So do the equalization and the balance of sound, which give a lot of play. 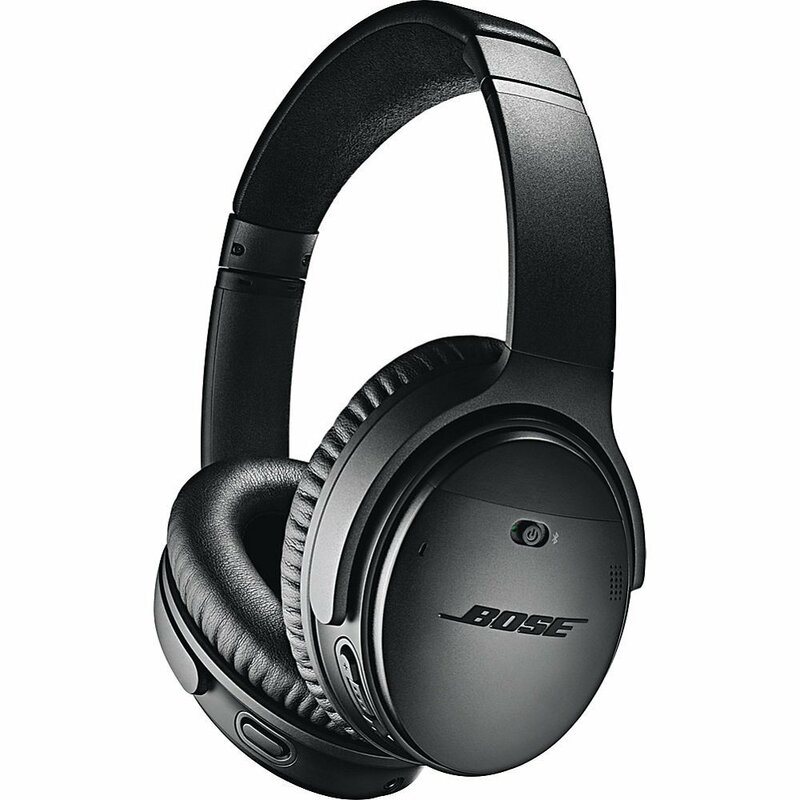 With these QuietComfort 35, Bose, the American company stands out completely from the competition, especially in relation to the cancellation of active noise. Their sound and comfort make them a perfect travel companion, with a high price that we consider more than justified by the aforementioned reasons. Definitely, these QuietComfort 35 are one of the models to consider in the market of wireless headphones. They are one of the strong points of this comparison. Your comfort, design, good battery life, NFC, sound quality at the level of Sennheiser. Noise cancellation cannot be turned off and on. 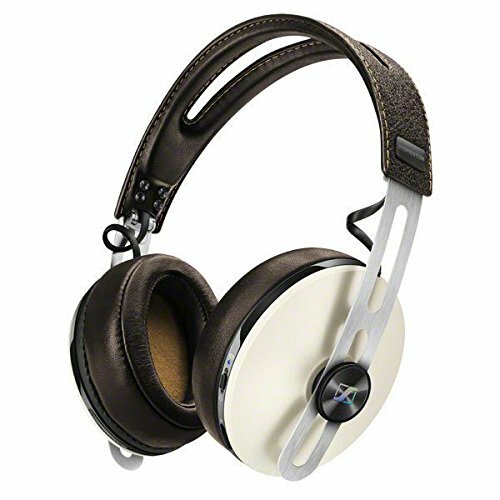 The Sennheiser Momentum 2.0 headphones have a stainless steel headband covered with leather. Its finish is of good quality, as we are used to Sennheiser, and its padded structure adapts well to the head. They are comfortable, firm, elegant and sober. They are available in white-cream and black, and the fact that they can be folded makes them even more portable. We do not recommend using them as sports headphones. They are not protected against sweat and splashes, and the materials will be damaged if we do an intense exercise with them. As one of the most representative Bluetooth headsets on the market, its sound quality is more than correct and justifies its price. While the basses sound firm and contained, the medium and high frequencies have enough space to shine in your ears. The result is a warm and clear sound, far from the predominance of bass and the colored sound of other brands. The Sennheiser Momentum 2.0 try to reproduce the sound without traps and in the noblest and sincere way possible. Regarding the active noise cancellation technology, it is based on the technology that Sennheiser applies to its models: the NoiseGard cancellation. It is efficient with continuous sounds like noise from the meter or an airplane, but not so much with intermittent or sudden sounds. A negative point is that this noise cancellation cannot be turned on and off at will, something that always comes in handy. The Sennheiser Momentum 2.0 reproduces the audio via Bluetooth using the aptX codec, which guarantees a high-quality data transmission with very low latency. In addition, they can be used in passive mode. That is, they have inputs to connect them by cable, which allows you to continue using them when you run out of battery. They use Bluetooth class 1, and the range can vary depending on the device with which we use between 10 and 50 meters. In addition, they offer the possibility of connecting to two devices at the same time. These Bluetooth headphones have the classic integrated external buttons, with which we can control calls and music, and also have built-in NFC connectivity system, which facilitates the pairing with other devices, such as smartphones. On the other hand, headphones have a hands-free microphone on each pad, with an integrated ambient sound filter, in addition to noise cancellation. The battery of these wireless headphones has a range of 22 hours of continuous use, although it may vary depending on the volume with which we use them. It is a really enviable duration, one of the highest in terms of Over Ear headphones. Very recommended. Sennheiser brings bluetooth headphones that do justice to its name as a brand: solid, balanced, comfortable and elegant, which makes it definitely worth its high price. Surely they love brand lovers who can afford them, and their features make them a really solid and efficient model, with an elegant and very attractive design. Its excellent value for money and its level of customization. The headband is not especially comfortable, it does not carry IPX protection against liquids or dust. The JBL Everest 700 has a solid plastic design with metallic finishes in the headband settings. Its finish is balanced and resistant, although not all users have just found them comfortable. We can fold them and regulate them to the pleasure which facilitates the transport, and the padding is designed in synthetic leather. On the outside, they are attractive and elegant. Integrated controls include a multifunction button for music and volume. It weighs 304 grams, which does not make them heavy, but comparatively, there are lighter options. They also have regulation of active noise cancellation in several levels. An important aspect is that they do not have Ipx protection before liquids and dust. They have built-in active noise cancellation technology. The sound they offer is balanced and detailed in both Bluetooth and passive mode. This means that they also incorporate inputs to connect them via cable, which will offer us a B plan to continue using them when we run out of battery. With the JBL Everest 700, we will capture a sound with nuances even at low volume. This is especially true with activated noise cancellation. It is very interesting to be able to regulate it, with up to 3 levels of cancellation depending on the noise we have around: sometimes we can get some environmental sound to improve our experience (and also our safety, for example, when crossing the street). Its performance is good in itself with the settings that come by default, and we can configure them at will with the equalizer included in your app, which you can download from here. The response to low frequencies is good, at the same time the highs are solid and clear. The bass is stuck and deep without bothering or covering other sounds. They have a good performance in most musical genres. These headphones will not stop satisfying fans of the low frequencies, but those who are familiar with the Sennheiser Momentum 2 Wireless and are of cleaner sounds and not so colored. The vowels sounds are very clear and detailed thanks to their good means and treble, and the sound is very balanced: all frequencies have the same role. The JBL Everest have Bluetooth 4.1 technology and have a range of between 10 and 30 meters range, which depends on the device we use. A negative point is that they are not compatible with the aptX codec. One of the most interesting points of these bluetooth headphones is its free application for IOS and Android, from which we will have access to noise cancellation, battery life, and an equalization. In addition, they have automatic shutdown function after an inactivity of 10 minutes. They also include a 3.5 mm jack for use in passive mode. The autonomy of the JBL Everest 700 is about 15 hours in Bluetooth mode with noise cancellation activated. We can use them for approximately 25 hours in passive mode, with noise cancellation equally active. It has a fast charging system, only 2 hours to offer a full charge. It is, therefore, an efficient battery life and can be worth any consumer, but that does not reach the highest levels of this comparison. Excellent value for money. We believe that the JBL Everest 700 have a performance well above its price. Without being up to the high ranges, can be an excellent choice for its good features, especially for bluetooth headphones Over Ear that are in theory mid-range. In conclusion, we can say that they are very good wireless headphones in terms of price quality. 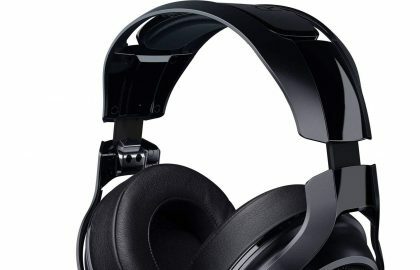 It offers powerful sound, good noise cancellation, and efficient Bluetooth connectivity. 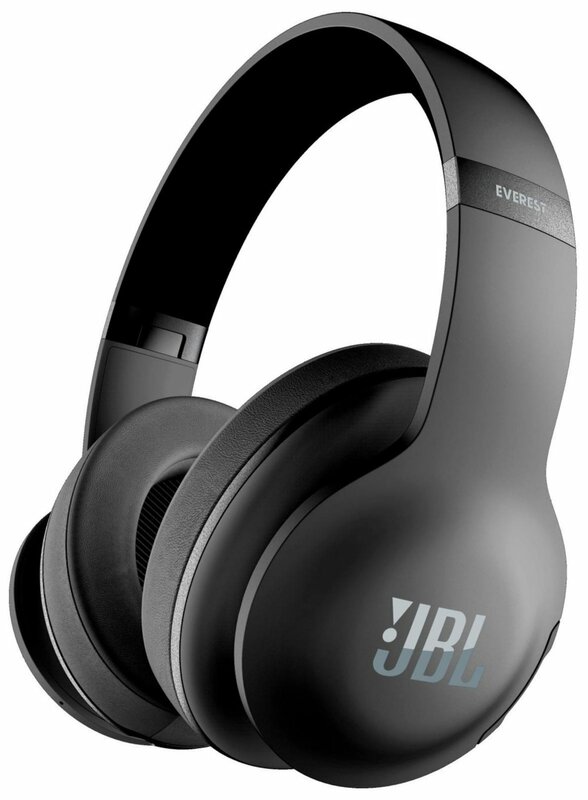 JBL also offers a more economical version with its Everest 300 model with active noise cancellation. Comfortable and with a very good finish. Cancellation of active noise. Good battery life. As “small” brothers of the Over Ear version already discussed in this comparison, the materials of these Sennheiser Momentum 2.0 On Ear Wireless are also elegant, with soft colors ranging from black to cream. They show attractive metallic and leather finishes that give them a stylish look. The earmuffs rest on the ear instead of surrounding it, and its padding is soft and comfortable, despite its small size. These bluetooth headphones are fixed to the head without excessive pressure. The latter is usually a negative point of other headphones on ear, but not in this case. In addition, they fold very well, which makes them very portable, something to keep in mind, especially to take them on a trip. Many users describe the sound of these bluetooth headphones as ” fun “: to the powerful bass, there are very pronounced and detailed mid and high frequencies that add a lot of dynamism. This is something that gives joy to most listeners. The bass and sub-bass combine perfectly, with a warm sound and a little more color than the previous version, which stood out for a nobler sound. The Momentum Over Ear, already analyzed in this comparison, have a sound a little more detailed and warm than this On Ear version. The smallest model does not stay too far behind when it comes to sound, but we must point out that Active Noise Cancellation will be noticed in quieter environments. This Noise Gard active noise cancellation works well and efficiently but does not reach the level of other models such as QuietComfort 35. On the other hand, the passive isolation of the Momentum On Ear is not as efficient as the Over Ear, although it is still acceptable. Very playful wireless headphones. The Sennheiser Momentum 2.0 On-Ear uses NFC connection and the aptX codec for Bluetooth 4.0 streaming. They also have a cable with music control and subtractable calls, compatible with iPhone and Android. The battery of these headphones on ear Bluetooth is more than respectable: 22 hours. In addition, we can see the remaining duration of the same through the controls integrated with the headphones. It is a useful life that will undoubtedly be more than enough throughout the week and in our daily routine. The On-Ear version of the Momentum 2.0 wireless have an audio and noise cancellation that we rate as very good. They may be considered somewhat expensive compared to other models on this list, but we must also bear in mind that we pay for Sennheiser’s seal of quality and guarantee. In short, they are a good option that will not disappoint you. Sennheiser also has the Momentum 2.0 version wired for a very affordable price. The appearance of BOSE Soundlink On Ear Wireless is more sporting than the models described earlier in this comparison. Its finish is made of plastic, but it is resistant and compact. The earmuffs are soft and the grip is comfortable but not fixed; does not support sudden movements. They are really light: they barely weigh 198 grams. 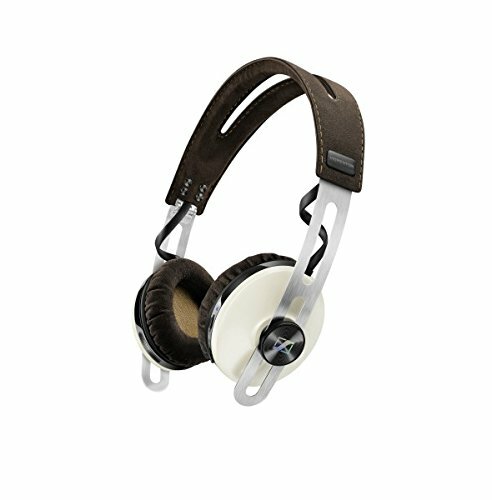 As a curiosity, there are two models available of these headphones: a pair of dark tones and another of white and cream, with a striking blue stripe running through the earmuffs for those who like a more daring design. Despite its lightness, an important aspect regarding its design is that they do not fold, but come with a semi-rigid case to transport them. Its performance is good, especially for Bluetooth supraaural headphones. The basses are solid and leave room for other frequencies to sound clear. Instruments like pianos, strings or percussions like hi-hats sound with precision. It is not a professional sound, but it makes a very efficient carving, especially with music in which the details of mediums and highs are important, such as rock, classical music or any genre where there is a role for melodic voices and string instruments. . As usual in Bose, bass and treble sound in balance and generate a balanced sound. These are Wireless headphones with many possibilities. Pairing is easy and will be done automatically with any device previously associated. They can be used in a passive mode with a 3.5mm cable, and the integrated controls allow us to handle music, calls, and volume. The cable is connected to the left earmuff, and we have a multifunction button. In addition, we found a micro USB port located in the right hull for charging. These headphones support Bluetooth 4.0 connection and allow you to connect multiple devices at the same time, although we can only listen to music through one of them. A negative point against them is that they do not support the aptX codec. On the other hand, the pairing of these Soundlink II is much faster thanks to its NFC ( Near Field Communication) technology. At the moment, this connectivity is only available with most Android devices. The duration of the battery is 15 hours and requires approximately 3 hours of charging. Again, we can report the remaining battery level by pressing a button integrated with the controls. They have automatic rest function and a fast charge function, with which we can use them for 2 hours after 15 minutes of charging. BOSE Soundlink is good, lightweight and comfortable wireless on-ear headphones. On the other hand, its price is not far from the QuietComfort 25, a model that is not Bluetooth but with better performance. It’s connectivity with IOS and the great duration of its battery. Powerful bass to listen to hip hop or electronic. They may not be comfortable for everyone, the sound is not as good as that of other mid-high-end headphones. The Beats Solo 3 Wireless have so recognizable (and so fashionable) design. The headband of the headphones is made of aluminum and the leather ear cushions. The fixation is strong, and many users are not quite comfortable at all. Although it can be an advantage for what uses we give them, if we intend to spend several hours with these wireless headphones probably find better options in this comparison. However, the Beats Solo 3 Bluetooth headset is a rugged and attractive, foldable and available in a variety of colors. Depending on the taste of each user will convince you more or less. The Beats brand is well known for coloring the sound of its headphones and raising the bass in a somewhat excessive way. However, this is not a problem that we will find in Beats Solo 3. Its sound is clear and the bass frequencies are balanced. The emphasis that the bass players had on their previous model has been improved, although we still find an excess of about 3 decibels in these frequencies. Music listeners with a predominance of bass will enjoy this characteristic sound of Beats that makes them one of the best headphones to listen to hip hop, pop or electronica. However, they do not have active noise cancellation. The connectivity of these wireless music headphones revolves around the Apple W1 chip, which facilitates its connection with IOS. They can be used in a passive mode with the usual 3.5 mm jack cable and the LED lights integrated with the headphones inform us of the on or off status. In addition, they include the Remote Talk cable, with which we can control Siri, in addition to calls and volume. Being Apple, they do not support the aptX codec, but they have Bluetooth class 1 technology, and an impressive range of range: almost 100 meters. Another of the strengths of the Beats Solo 3 Bluetooth headset: they have a range of about 40 hours. In addition, they have a really useful quick charging mode: with 5 minutes of charging we can use them for 2.5 hours and a full charge takes around 1.5 hours. It is one of the best comparative options in this sense, with a very difficult autonomy to match. As one of the fashion brands, Beats Solo 3 Wireless has a sound that meets the minimum of the average user, a very attractive finish, and a truly efficient connectivity. 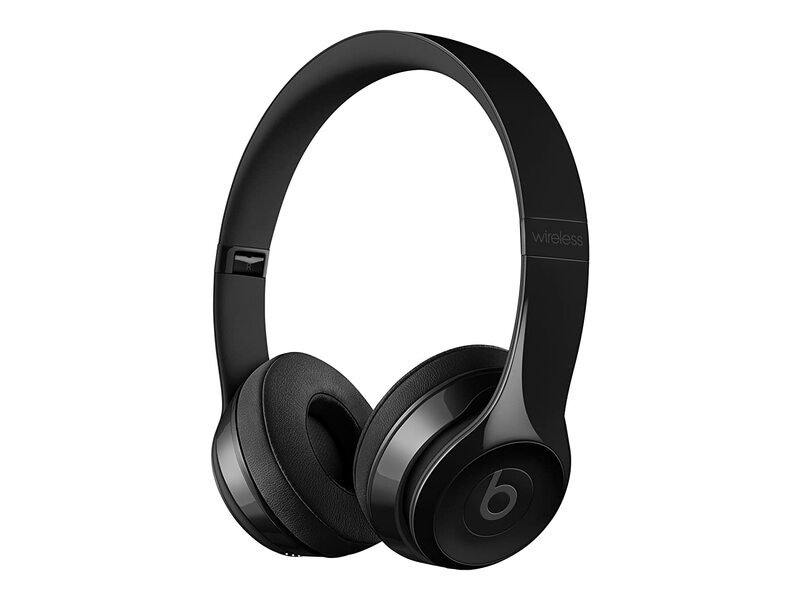 It can be a good option for those who can afford it and like the type of sound offered by the Beats brand. The improvements with respect to the previous model are noted in Bluetooth connectivity; As far as the sound is concerned, they are minimal. In conclusion, although they are good headphones that will appeal to serious lovers, their price is somewhat high, as we are used to by the Beats brand, which includes in the sales price the cost of its powerful pouch. marketing worldwide. Limited battery life, integrated controls could be better. The Jabra Move Wireless headphones are made of plastic with stainless steel finishes. Their appearance can make us underestimate them: they are lightweight and small in size, with the flexible headband and integrated call and volume controls. They are available in red, black and blue, and have a good construction, although their plastic may appear fragile. It is true that the higher-end headphones have more resistant materials. Your comfort is also not up to the high ranges, but they are fixed well to our head and the padding of the pads will allow us to use them for a long time without problems. A negative point to note is that they are not collapsible, and do not include any transport sheath. This makes it more complicated for us to transport them comfortably. The sound offered by these Jabra Move Wireless is surprisingly balanced, especially for mid-range Bluetooth headphones. Nor can we see medium tones with a lot of punch or a spectacular bass, but they do offer a sound in which the listener can submerge without problems. With them, we can appreciate a certain degree of detail in the songs, a slight brightness in the treble, and medium and solid solids that are enough to play with a good wireless sound. This sound is affected when we use them in passive mode. At the time when we use them with the cable, the bass continues mixing well with the media, but a lack of detail in the treble becomes evident. In other words: the sound is less enveloping. On the other hand, when we use the Bluetooth connection the sound goes through a Digital Sound Processor -DSP- that amplifies the bass up to 10 dBs.. The means and treble also improve substantially with the wireless connection. The Jabra Move Wireless can also be used in passive mode. That is, they have cable entries. 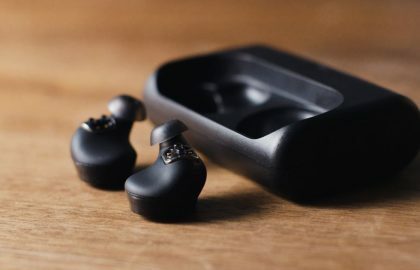 They have the usual multifunction button as the rest of the wireless headphones of this comparison, and its Bluetooth 4.0 connectivity is fast and effective with both Android and IOS. As a negative point, they do not support the aptX codec. The battery life of these Bluetooth headphones is 8 hours, and require about 2 hours of charging. 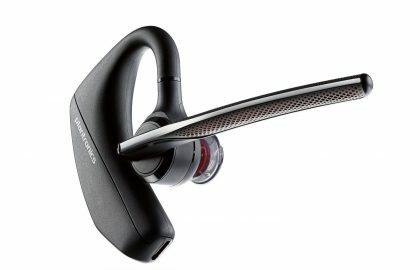 In this regard, the Jabra Move Wireless is far from other models that we analyze. It can serve us daily, but it is likely that we get thrown more than once. We must bear in mind that they are one of the most economical models of comparison. These Jabra Move Wireless have a good performance and will be valid for anyone with a limited budget. It’s a very good choice within the mid-low range of supra-aural headphones, with an excellent price-quality ratio. Perfect for tight budgets. Type: In-Ear / Supraural, Without Cables. With the Bose SoundSport Free Wireless, we enter the world of intraaural Bluetooth headphones. These models of wireless headphones are introduced into our ear and provide us with some sound isolation. The Bose SoundSport has a striking shape that may not convince those who are looking for more discreet headphones but do not have any external support. Neither do they need it: they are comfortable and adapt well to our ear canal. They are available in black (more discreet) and blue, with a texture reminiscent of carbon and yellow inside. They are attractive and elegant colors. In addition, your purchase includes a small convenient box to transport them. The box looks pretty good, with a very premium look. In addition, it acts as an external battery: it supports up to 2 additional full loads. The pads are made of silicone (they have three pairs of different sizes) and have a kind of fin that helps to fix them to the ears. They are resistant to sweat and splash with their IPX4 protection, although they are not submersible. They are somewhat heavier than expected: they weigh about 14 grams each (twice as much as the Jaybird Run) . They are somewhat large and protrude slightly from the ears, although it is true that they fit perfectly. They are extremely valid for sports both indoors and outdoors. The sound that the Bose brand offers in its products is characteristic. Not all the listeners are convinced, by the fact that it is a fairly transparent and noble sound, without any frequency excelling over the rest in an aggressive way. As usual with the Bose brand, the sound of these wireless earphones in ear SoundSport Free has its Volume-Optimized EQ technology. It is another term for the digital signal processor or DSP. The bass is increased when we lower the volume, which makes the sound more spacious. On the other hand, these frequencies are attenuated when the sound is louder. It is a good and powerful sound, although the V-OEQ does not allow us to regulate the equalization from your app. It will especially appeal to users who seek an extra prominence of the lower frequencies. In short, its sound is clear, clean, and something more oriented to the bass. Even at high volumes, no distortion is seen. This prominence of the bass does not prevent the other frequencies from mixing very well, with details that give richness and brightness to certain genres, such as vocal songs. If you like to motivate yourself with powerful bass when exercising, these headphones will not disappoint you. 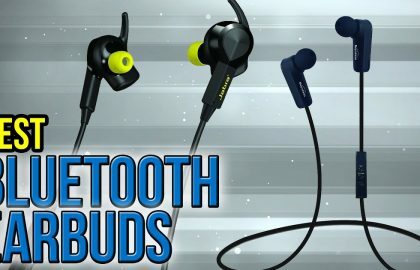 If we add to this the comfort and the isolation that its adaptation to our ear gives us, we have a really good experience regarding the Bluetooth In-Ear headset segment. The Bose SoundSports have built-in controls on top of each headset to control music, calls or invoke Siri or Google Now and wireless connection with Bluetooth 4.2. Its NFC function greatly speeds up the pairing with our devices. 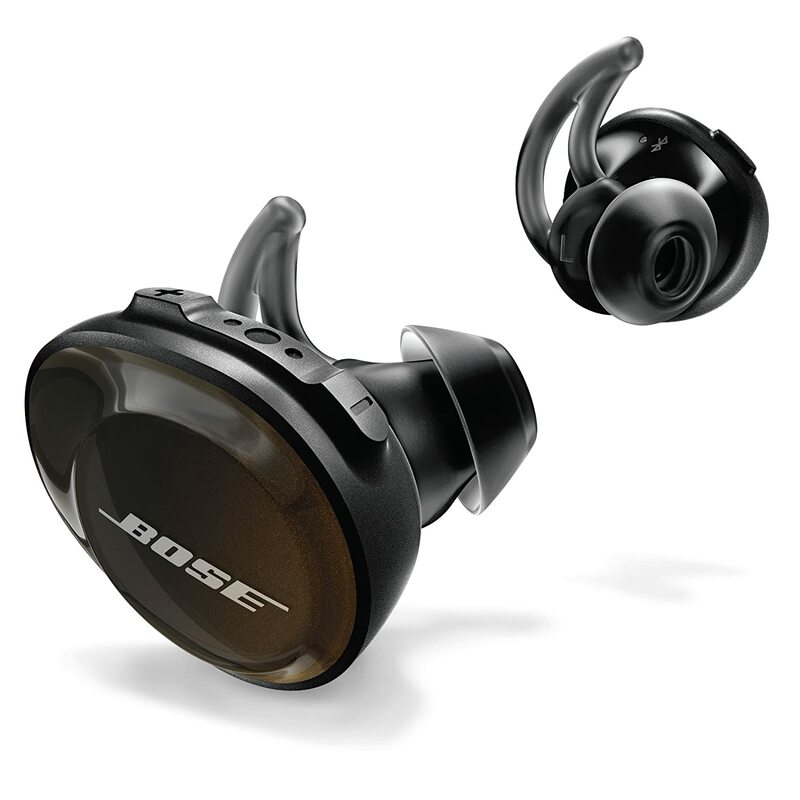 In addition, they are compatible with the Bose app for IOS and Android, which makes it much easier to have several devices associated with headphones. They also have a hands-free function thanks to their integrated microphones. However, something that has surprised us is that this connection is only heard through the right earphone. The duration of your battery is 5 hours, something that may seem scarce for everyday use but more than enough for our sports sessions. On the other hand, its charging time is 2 hours. In addition, the carrying case also serves to charge the headphones. In it we can store up to 10 hours of extra battery for our headphones. As if that were not enough, they have a fast charge function, which will give us 45 minutes after 15 minutes of charging. The Bose SoundSport headphones are in-ear Bluetooth headphones designed for sporting use, where we can get the most out of them. They are incredibly comfortable and give us a stable and clean sound. Despite its good performance, its price can make us think twice before buying. Your comfort and versatility. Surround sound. Perfect for sports in almost any field. Type: In Ear / Supraural. In addition to being inserted into our ear, the Powerbeats 3 in-ear Bluetooth headphones have an external hook that surrounds our ear and ensures secure attachment. These Bluetooth headphones are designed for sports use and adapt incredibly well to any physical activity we perform. With them, a set of pads of various sizes is included so that they will be comfortable for any user. On the other hand, its design can be a little showy for those who want discreet headphones. Again, this is a matter of taste: we will have no problem using them for any day-to-day activity. It should be added that they are resistant to splashes and sweat. Its structure guarantees an enveloping sound in almost any environment. They have a very efficient isolation despite not having noise cancellation. The audio quality is clear, powerful and dynamic. This is transferred to the quality of calls: we will not have any problem talking through its integrated microphone, although we are exercising at high speed (running, bike, CrossFit …). As in the Beats Solo 3, we again find the Apple W1 chip to accelerate the connection with IOS devices, although they work perfectly with any type of Bluetooth connection. They have a multifunction central button that gives us access to Siri and Google by voice control. We will also control music and calls. The battery life of the Powerbeats is especially good: 12 hours. They also feature the FastFuel fast charge feature, which will give us 60 more minutes of use with only 5 charges. This is among the best within the models we analyze, and it is a great point in its favor. They are comfortable, efficient, practical and powerful like few others in the market. Definitely, they are one of the best options in this comparison. If you have been left wanting to know more about the Beats Power Beats 3, take a look at this review where we analyze them in much more detail. Your great level of personalization. Resistant to splashes. Its performance is adjusted to its price. The design of the Jaybird X3 goes in the line of sporty bluetooth headphones. 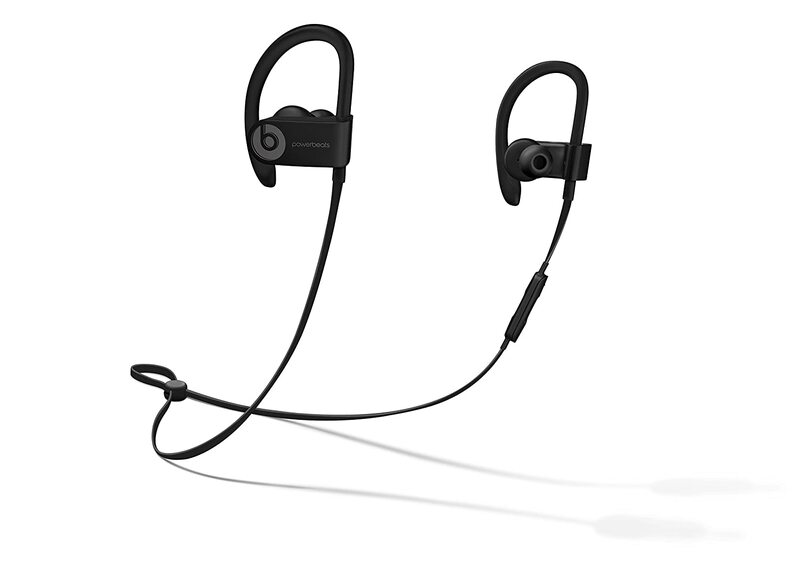 They are made of resistant plastic, with a flat cable that connects both headphones, as in the case of the Powerbeats3. They are resistant to sweat and splash and are included with two sets of pads made of silicone and foam of different sizes. They also include several sets of fastening fins, so that we can customize them to our liking to feel more comfortable with them. We will not have any problem when using them in any type of sport and some listeners may feel resentful after a few hours of use. The headphones bluetooth in ear Jaybird X3 have a powerful sound that reaches high volume levels without problems. The response of the low frequencies is very good, although obviously, the sub-bass will not shine as much as in higher category headphones. The low-mid frequencies are slightly enhanced, something usual in this type of headphones. The media continues with this dynamic and the highs have enough space to sound defined. Anyway, Jaybird X3 have an application for smartphones from which we can configure to our liking the equalization and nuances of sound. In addition, we can share with other users the adjustments we make and reset them at will. The connectivity of the Jaybird X3 is given by Bluetooth 4.1 connection. It is possible to connect them to two devices at the same time. Both the music and the calls will be controlled with the control knob integrated with the cable that connects both headphones. Also, as we mentioned in the previous section, we can customize the sound with the app for Jaybird smartphones. The battery life of the Jaybird X3 Bluetooth headset is 8 hours. A voiceover informs us of the on and off status, in addition to the remaining battery level. They take 2 hours and a half to load and also have a fast charge function that converts 20 minutes of charge in 1 hour. 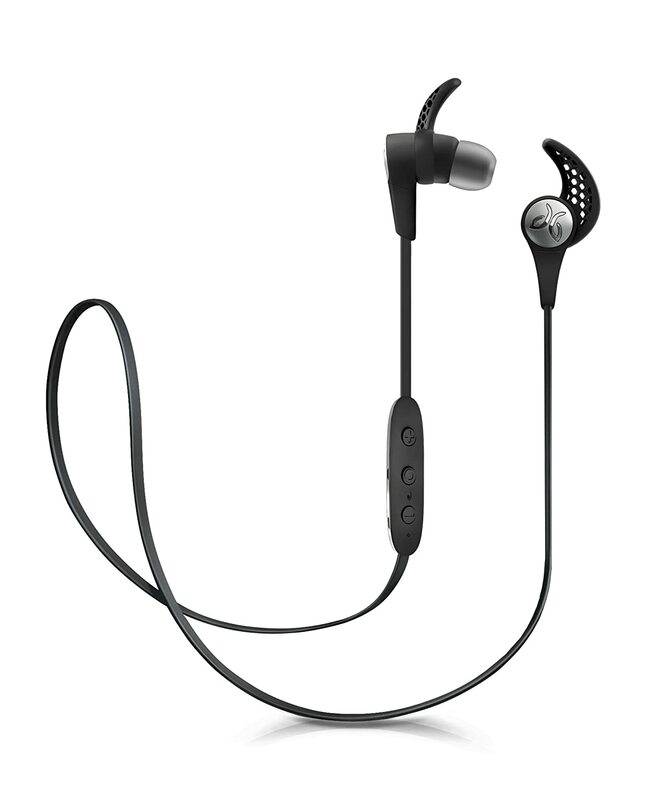 The Jaybird X3 are also sports headphones, with good connectivity and customization. They are available for less than $ 100, which makes them attractive to listeners interested in mid-range wireless in-ear headphones. However, for some more money we could access the Powerbeats3, in which we do find a quality jump. Throughout this comparison, we have analyzed and explained different Bluetooth headset models. As users, we can adjust to the models that best suit our needs. The main thing when deciding is to take into account what type of headset we want: supraaural, circumaural or intraural. Based on this, the most important factor is the budget. If we are willing to spend more than $ 300, we find options that are at the technological forefront in terms of Bluetooth connections. From Beoplay B & O to Sennheiser or Bose, we must pay attention to details that will make a difference as consumers: noise cancellation, battery life, and sound quality. In the case of sports headphones, the Powerbeats 3 will work wonders for anyone who can afford them. Between 140 and 200 $ we highlight the Bose Soundlink, the Soundsport for sports and the Beats Solo3 for those who like the popular brand. 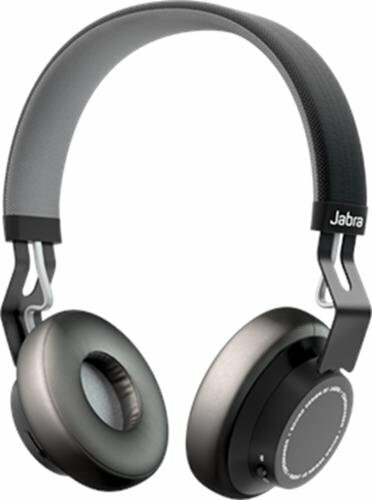 Finally, in a lower price range but with good performance, we have good options like the Jaybird or the Jabra Move. As we have seen, good performance and good performance are assured in all models of the comparison.